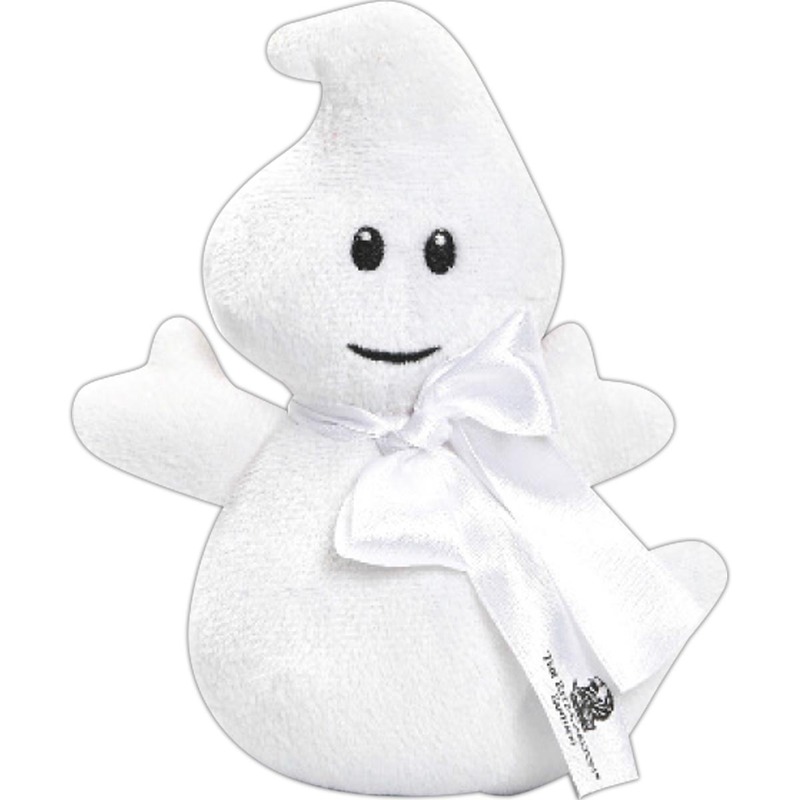 Halloween stuffed 6" Ghost plush toy animal. Plush holiday fun. Accessories priced separately. Stuffed Animal, plush toy, stuffed toy, custom. NO MINIMUM ! Stock items with logo over 300 to choose from no minimum. We specialize in Custom plush toys . We comply with safety regulations and we carry product liability insurance. We have our own design team that creates custom designs.